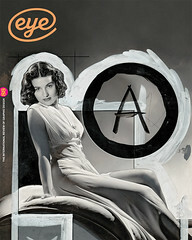 E. M. Ginger’s company 42-line specialises in digital facsimiles of rare books, manuscripts and art. Not many people get the chance to page through a First Folio, the earliest collection of William Shakespeare’s plays. Printed shortly after the playwright’s death, there are fewer than 300 copies in existence, and most of those are locked away or displayed behind glass. 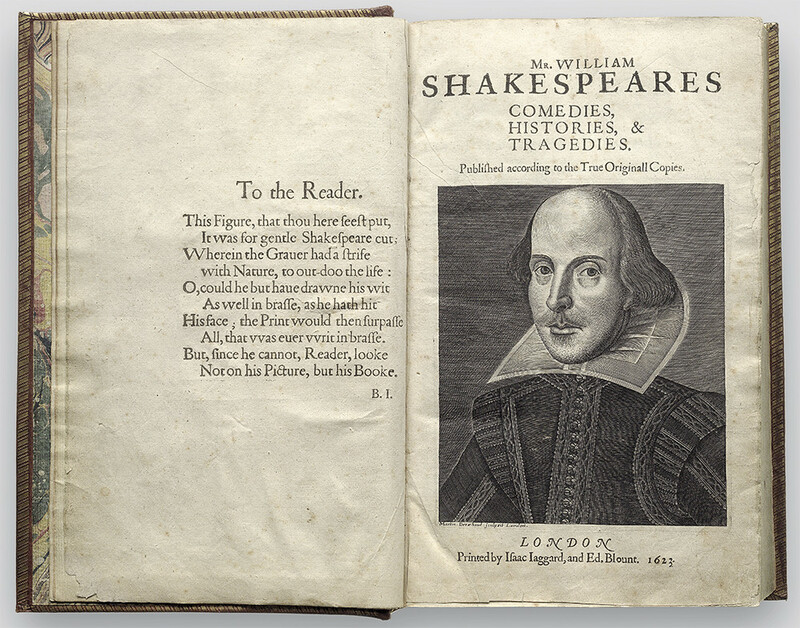 When sold at private auction, a First Folio can go for upwards of £3 million. In 1999 one copy, flanked by heavy-duty security, was transported across the street from the Folger Shakespeare Library in Washington DC to the Library of Congress. There, each page of the book was painstakingly photographed, and now anyone with internet access can click through the digital facsimile. There is no shortage of demand for digitised versions of rare books, but the process requires such care, precision, and time that few companies can provide the service. So in 2005, E. M. Ginger – bibliophile, designer, typographer and writer – stepped in to fill the void and created the company 42-line. 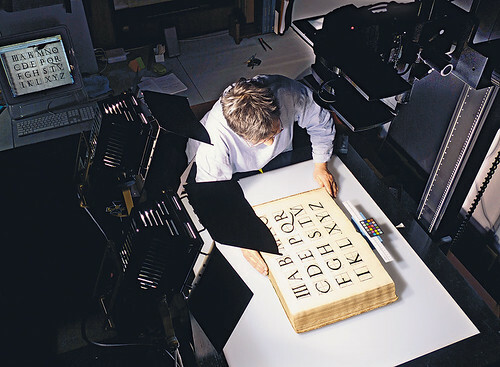 Its name is a nod to the Gutenberg Bible, printed with 42 lines per page, and its mission is to take large format, high-resolution digital photographs of rare books and other texts. Ginger’s clients range from a science museum that has acquired a nineteenth-century encyclopedia of snakes to an individual who wants to archive her grandfather’s Second World War flight logs. Fittingly, 42-line is located in Oakland, California, at the geographic junction of written and digital culture. To the west is San Francisco, with its vibrant literary history. To the south is Silicon Valley, the epicentre of tech. But Ginger’s passion for print was not always directly connected to digital expertise. She began her career setting lead type, and for years was managing editor of Fine Print: The Review for the Arts of the Book, a letterpress-printed journal of book arts. She also co-authored, with Erik Spiekermann, Stop Stealing Sheep and Find Out How Type Works, first published by Adobe in 1993. Although at first Ginger did not embrace the digital world, she soon recognised its progress as inevitable – a contemporary analogy to the transition from handwriting to print. In her Oakland, California studio, E. M. Ginger prepares a sixteenth-century architecture manual by Sebastiano Serlio for digitisation. Top: Comedies, Histories, & Tragedies by William Shakespeare. Ginger first became involved with digitising books when she was executive editor at Octavo, the company responsible for the First Folio facsimile, which was founded and funded by Adobe’s John Warnock. Octavo did the same kind of work that 42-line does now, but offered its services free to libraries. When Octavo folded in 2005, Ginger opened 42-line. Her work there is the culmination of her years of experience in both print and digital realms. She has always worn many hats, and 42-line is the hook on which all of them can hang. Because a company like 42-line is as rare as the materials it handles, Ginger, together with her imaging director Martha Blegen, invented industry conventions. For example, when they photograph books, they prop them up with children’s closed-cell foam building blocks because these don’t emit toxins. Their Sinar camera can adjust from single-shot to sixteen-shot exposure, while halide lighting minimises heat and UV exposure. ‘We’re using the most advanced technology on the planet to show people how great this old stuff is,’ Ginger says. Both 42-line and Octavo have names that refer to major leaps in the accessibility of books. And although she is still enchanted by physical books, Ginger staunchly believes that what is gained from propagating facsimiles of singular rare editions greatly outweighs anything that is diluted or lost. ‘The more that people can see, the better the world is going to be,’ she says matter-of-factly. She aims to mimic the process of reading a physical book by imaging open-faced spreads rather than individual pages. The books are handled with utmost respect; the bindings are kept intact and the covers are photographed. ‘If you get a good enough shot, you can actually see the texture,’ says Ginger. 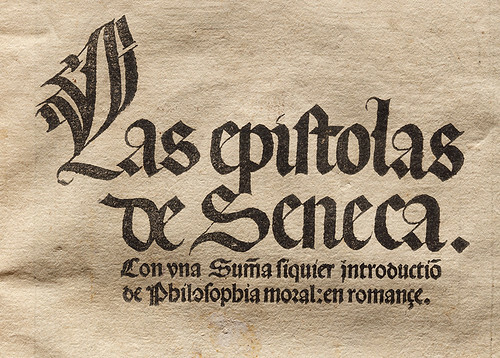 Detail, woodcut and letterpress title, The Letters of Seneca, translated into Spanish by Fernan Perez de Guzman. 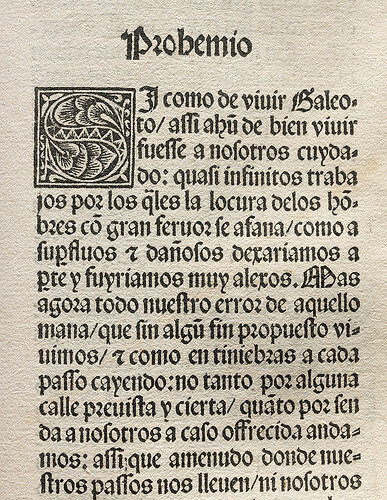 Zaragoza: [Paul Hurus] for Juan Thomas Favario de Lumelo, 3 March 1496. Private collection. Of course, the access game has slightly higher stakes in the 21st century than in Gutenberg’s era. Around the time of 42-line’s conception, Google began partnering with major libraries in an attempt to generate ‘an enhanced card catalogue of the world’s books’. Systematically scanning the collections, Google has created a searchable database that displays ‘snippets’ of text. Both the Authors Guild and the Association of American Publishers sued Google for copyright infringement, but the courts ruled that the Google Books Library Project constitutes ‘fair use’. The database includes more than 30 million books. In a few cases, complete rare texts are available, including a first edition of On the Origin of Species by Charles Darwin. Similar endeavours, such as Project Gutenberg, have digitised thousands of works in the public domain. Ginger’s design background informs all her work at 42-line, whether she is selecting a book, curating an elegant digital display, or generating the thoughtful editorial content accompanying it. While positioning it for optimal lighting, Ginger turns the heavy pages of a sixteenth-century treatise on architecture by Sebastiano Serlio, which are splotched from the oil-based ink. She marvels at the illustrations of arches, tombs and Corinthian columns, all made from woodcuts.